Ratchet & Clank: Up Your Arsenal (or just Ratchet & Clank 3 in Europe) rep­re­sents the fi­nal game in a loose tril­o­gy that also en­com­pass­es Ratchet & Clank and Ratchet & Clank: Going Commando. This rep­re­sents the “clas­sic era” of the se­ries to most peo­ple, and whilst they don’t have too much in di­rect sto­ry cor­re­la­tions they do share a lot of me­chan­ics, weapons, and even read each other’s save files. There is a sense that each game di­rect­ly built on the last one me­chan­i­cal­ly; re­fin­ing and hon­ing each el­e­ment rather than at­tempt­ing to com­plete­ly rev­o­lu­tion­ize and re‐invent the game each time. It’s dif­fi­cult to pin down what makes Ratchet & Clank 3 such an ex­cel­lent en­try in the se­ries be­cause on pa­per the sin­gle play­er seems a lit­tle bit cut down. The rac­ing and space com­bat that saw use in the pre­vi­ous two games have been re­moved, and new com­bat or chal­lenge ori­ent­ed sec­tions have been added in. These two modes al­low you to flex the mus­cles of the teem­ing ar­ray of weapons the se­ries is known for, and Ratchet & Clank: Up Your Arsenal does not dis­ap­point in this re­spect. The weapons and up­grade sys­tem has been ex­pand­ed so that each weapon in the game goes through five stages of lev­el­ing that cul­mi­nates in a pow­er­ful fi­nal form, and the game has you pick­ing up mod­i­fi­ca­tions along the way. This is ex­treme­ly sat­is­fy­ing, and the grad­ual in­crease in pow­er and fea­tures makes the play­er feel they are con­stant­ly get­ting some­thing new to play with. Most of the weapons are very sat­is­fy­ing to use, but there are a few duds in the ex­ten­sive line‐up. Though, the va­ri­ety is such that you can pick and choose those that fit your play style.Annihilation Nation once again ex­pands the are­na com­bat of the se­ries with added plat­form­ing death‐courses. There are a good num­ber of var­ied chal­lenges on of­fer that are un­locked through­out the game, and it al­lows you to earn a lot of ex­tra Bolts should you re­quire them. The game also fea­tures all new mis­sions from the Galactic Rangers; many plan­ets fea­ture a se­ries of ob­jec­tive based chal­lenges that have you sup­port­ing a squad of ro­bots, and some ob­jec­tives of the main game re­volve around this for­mat. They are most­ly ground com­bat mis­sions, cap­tur­ing blot‐cracks, and the slight­ly te­dious hover‐ship chal­lenges. 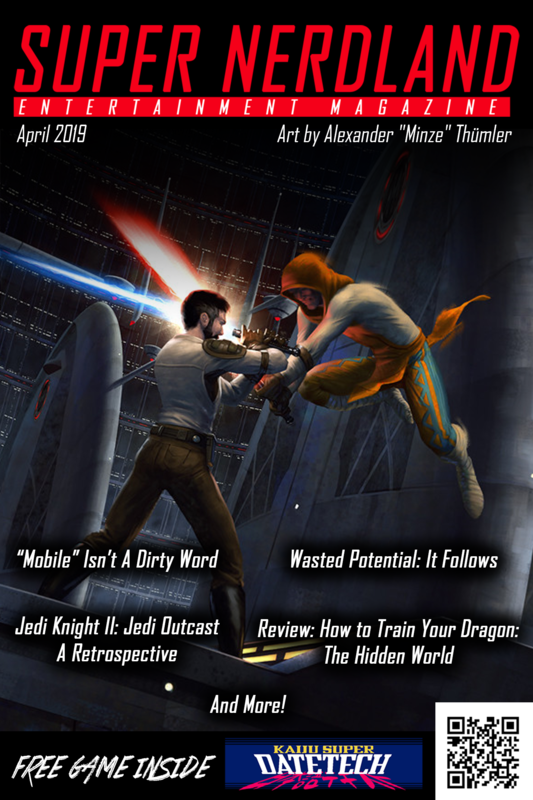 The clas­sic gad­gets take a bit of a back‐seat this time around with the only ma­jor ad­di­tions be­ing the laser re‐directing Refractor, and the new puz­zle mini‐game of The Hacker — which is a lit­tle brain­dead and te­dious, but you won’t spend too much time with it. The Swingshot makes a re­turn, as do the grav­i­ty boots, but the grind boots take a break in Up Your Arsenal. It all feels very un­ob­tru­sive, the Swingshot au­to­mat­i­cal­ly de­ploys and you just click on hack­er puz­zles; this al­lows you to get on with the game with a min­i­mum of fart­ing around. There’s also tele­porter gad­get, but you’ll only use it a cou­ple of times. The ma­jor new el­e­ment of the game is the ad­di­tion of the Quark Vid Comics; a 2D plat­form­ing game with­in the main game that is very well ex­e­cut­ed, and helps dri­ve for­ward as well as give back­ground to the main plot of Up Your Arsenal. They of­fer up their own chal­lenges too; like beat­ing the var­i­ous episodes with­in a set time lim­it or col­lect­ing all the Quark to­kens with­in a lev­el. All of this makes re­play­ing or back‐tracking to hunt skill‐points and tro­phies a less mo­not­o­nous task, and cre­ates a game which feels far more re­payable than it re­al­ly should be. Every el­e­ment here is fun to en­gage with and of­fers you what­ev­er lev­el of val­ue you are will­ing to get out of it. You can skip through the game at break‐neck speed or you can stop and com­plete as much as pos­si­ble in your play through. Although you will find your­self need­ing to do mul­ti­ple play throughs to get to 100% com­ple­tion. You’ll also find your­self want­i­ng to do them, as your weapons get more lu­di­crous­ly over­pow­ered and your Bolt count reach­es the stratos­phere. The sto­ry and char­ac­ters are more fleshed out and bet­ter ex­e­cut­ed than in pre­vi­ous games too. Clank has more of his own role this time be­ing cast as “Secret Agent Clank” — who would lat­er get is own mo­bile spin off. The true stars of the show are su­pervil­lain com­e­dy duo of Dr. Nefarious and his long‐suffering butler/man‐servant Lawrence who has a dry, mock­ing sense of hu­mour. They are by far the strongest vil­lains of the se­ries and re­turn in fu­ture games for good rea­son. The plot it­self re­volves around Dr. Nefarious’ plan to turn the en­tire galaxy into ro­bots. A plan as in­sane as the ro­bot­ic mega­lo­ma­ni­ac him­self, and one that leads you to many side char­ac­ters and lo­ca­tions. Quark is ever‐present in this en­try in the se­ries, but his bum­bling is on the good guy’s side now, and the ear­ly arc of his sto­ry is both lu­di­crous and re­veal­ing. The vid‐comics give you a glimpse into how his hero rep­u­ta­tion was forged, in both sens­es of the word, as well as pro­vid­ing back­ground on Dr. Nefarious and clues as to his mo­ti­va­tions and where­abouts. The game has good pac­ing be­cause of the in­ter­play be­tween these el­e­ments. The sup­port­ing cast of the Q‐Force get a mod­er­ate amount of screen‐time, but I wish their var­i­ous in­ter­ac­tions and mis­ad­ven­tures aboard the Starship Phoenix would have been more fleshed out as they are ripe for char­ac­ter build­ing and com­e­dy. As it stands, they do serve as NPC’s that help you in var­i­ous sec­tions of the game. Especially Scrunch the Monkey who serves as a “Banana guid­ed mon­key de­vice” for Clank to use in his sec­tions of the game. The Clank sec­tions them­selves are rel­a­tive­ly the same, but with more of an em­pha­sis on avoid­ing traps and haz­ards than the gath­er­ing of Gadgebots that dom­i­nat­ed the ear­li­er games. Gadgebots still make an ap­pear­ance, but your main method of deal­ing with chal­lenges will be to guide Scrunch with your sup­ply of ba­nanas. 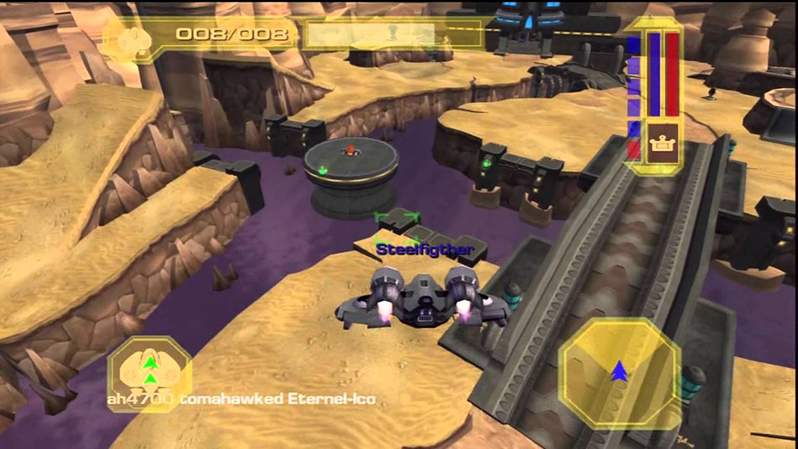 The game also fea­tured on­line and lo­cal com­pet­i­tive mul­ti­play­er modes which, quite hon­est­ly, most peo­ple didn’t play due to the lack of on­line sup­port for the PS2 at the time. Many of us had launch mod­els, or ear­li­er mod­els, which re­quired a net­work ex­pan­sion and a wired broad­band con­nec­tion to func­tion. The PS2 didn’t come with in­te­grat­ed net­work ca­pa­bil­i­ties un­til the PS2 slim‐line that was also re­leased the same year as Up Your Arsenal in 2004. By the time many of us had re­li­able ac­cess to the in­ter­net with a PS2 the on­line mode was al­ready a ghost‐town. 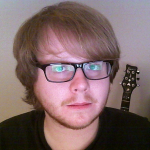 The sit­u­a­tion with the HD re­make is sad­ly the same; be­ing re­leased in 2012 I’ve not been able to find a game full enough to play in. I’ve played a few rounds against a sin­gle friend a few times, but that can’t re­al­ly give you a feel for how the mul­ti­play­er would work. The game is well worth play­ing even with­out this com­po­nent, so feel free to do what most of us have done for more than a decade and just ig­nore its ex­is­tence. If you feel that you are miss­ing much by skip­ping them, their struc­ture is some­what like the Galactic Ranger mis­sions fea­tured in the sin­gle play­er cam­paign, and even use some very sim­i­lar maps. 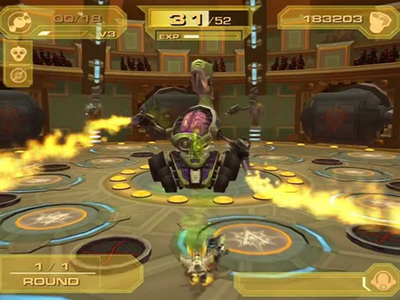 Ratchet & Clank 3 has some of the best lev­els of the se­ries. Courtney Gears’ home base Obani Draco is great look­ing and play­ing pink death course that is sad­ly too short. Outpost X12 fea­tures an ex­pan­sive map for galac­tic troop­er mis­sions and al­lows that el­e­ment of the game to re­al­ly shine. Ratchet & Clank: Up Your Arsenal is a game I’ve found my­self go­ing back to many times over the years, and is a game I was quite sad to fi­nal­ly 100% com­plete. It may not be the most am­bi­tious in the se­ries, but it’s still just amaz­ing­ly fun to play. It has the right mix­ture of el­e­ments from the pre­vi­ous games dis­tilled into a form that leaves very lit­tle fat to be trimmed — out of the sin­gle play­er game at least. Ratchet & Clank has nev­er re­al­ly been a co‐op and on­line ex­pe­ri­ence, and as we are lead­ing up to fu­ture ti­tles the ef­forts to turn it into one have had mixed re­sults. For the time be­ing, let’s cel­e­brate a game that helped de­fine my time grow­ing up as a gamer. Ratchet & Clank 3 is an un­abashed and en­thu­si­as­tic rec­om­men­da­tion. Favourite Gadget: The Refractor, just bare­ly. Thanks for stick­ing with us so far. Next time we get Deadlocked…. or was that be­come a Gladiator?